If you caught part one of tonight’s premiere of The Good Place—the new NBC comedy in which Kristen Bell plays a woman mistakenly granted a heavenly afterlife—you also saw the segment that outlines the scoring system by which the show judges humanity’s follies and foibles. 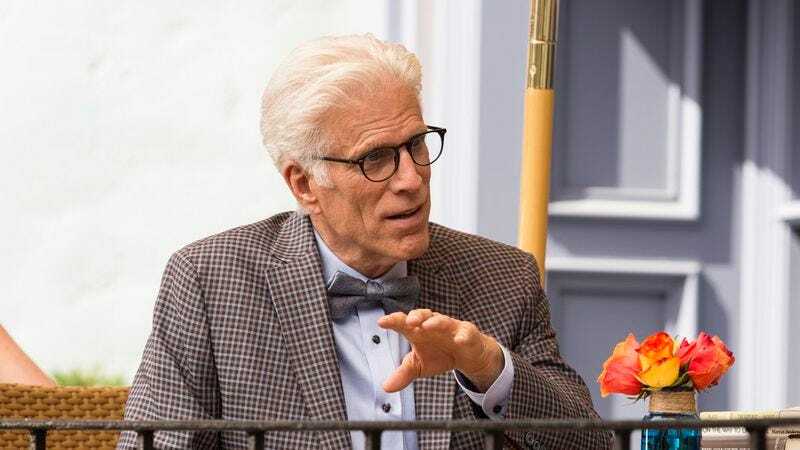 As explained by well-meaning celestial bureaucrat Michael (Ted Danson), people’s actions during their time on Earth are assigned positive or negative point values, which are then added up at the time of their death. The people with the highest numerical assignations go to the titular Good Place, and everyone else gets to waste away in its dreadful counterpart, The Bad Place. As Michael describes the system, examples of various actions flash on the screen, accompanied by their respective point values.